This wristband has been designed and hand crafted by young women who have begun a new and safe life having escaped the horrors of human trafficking. Each wristband features the traditional Mongolian Eternal Knot, bearing a blessing for long life. 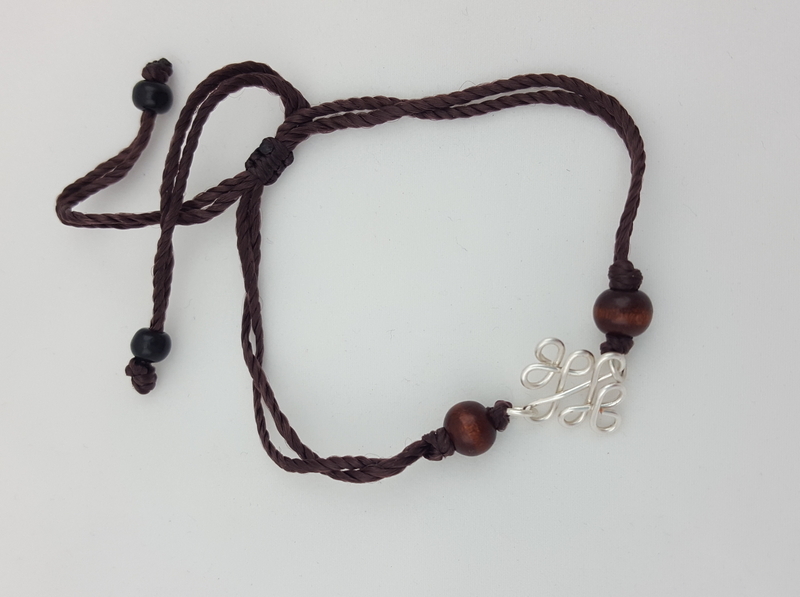 This knot is handmade using silver plated wires and is a unique and special part of Mongolian cultural tradition. The cord wristband also has a slip knot making it easy to adjust the size to suit.